News in Israel, current events, Israeli politics, daily life and commentary on life in Israel and the Middle East. 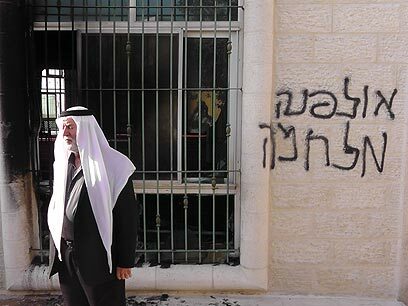 Israel’s Holy See ambassador, Zion Evrony, announced that a recent string of graffiti on Christian holy areas in Jerusalem must be publicly addressed or else it can harm Israel’s image as a nation that enjoys freedom of religion. Evrony and Pope Benedict XVI met in Rome for a meeting to discuss the current relationship shared between Israel and the Vatican. The vandalism has been termed as “price tag” assaults and has been widely condemned by the Catholic Church in Italy. Despite the recent wave of vandalism, the pope and ambassador met under positive circumstances as the former was presented a gold figurine of a dove that symbolized peace. The meeting concluded with the pope sending a prayer of blessing to the Israeli people. The assailants remain on the loose though authorities suspect that the culprits may be tied to an extreme pro-settler Jewish organization that have already claimed responsibility for similar attacks on mosques, churches and even equipment belonging to the Israeli military. The vandalism is believed to be in retaliation for what is perceived by the group as Israel’s pro-Palestinian policies set by the government. Christians make up less than two percent of the country’s population but have already faced repeated instances of defacing of their sacred sites. President Shimon Peres has publicly denounced the attacks and said that the actions are not values shared by the Jewish community. Nearly 10 years ago, Rachel Corrie was killed after being crushed by a bulldozer that she was trying to stop from entering the Gaza Strip. In the years since, Corrie’s parents have been going through the legal channel and hold the military accountable for the events leading to their daughter’s death. They are now awaiting a judge’s ruling. The case of Rachel Corrie has drawn national attention and is the first civilian trial stemming from the death of a foreigner at the hands of Israel’s military. All other related cases have resulted in settlements out of court. 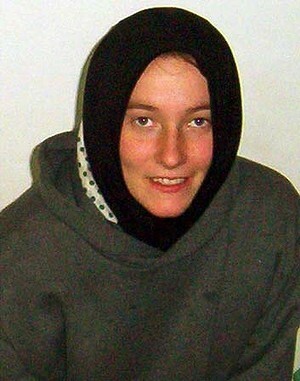 Rachel Corrie was an American student studying at Evergreen State College. She was also an active pro-Palestinian activist who was involved in numerous rallies denouncing Israel over its treatment of the Palestinian people. In March of 2003, she was killed when she was crushed by a bulldozer that she believed was about to demolish homes belonging to the Palestinian people in the town of Rafah. According to the driver, he did not see Corrie and the incident was ruled an accident. At the time, bulldozers were being sent to destroy homes that were being used as the point to carry out sniper fire and mortar attacks on Israeli soldiers and Jewish civilians. Since her death, Corrie has become the image for the Palestinian people and to support pro-Palestinain demonstrations. To her supporters, she became an iconic symbol of the way non-violent protesters are treated. For supporters of Israel, she was a reckless young woman who put her own life at stake by interfering with the military in a conflict zone. Corrie’s parents have spent nearly $200,000 in their own savings to attend hearings and gather witnesses. They are seeking reparation against the driver of the bulldozer and his superiors as well as compensation for the money they spent to get the case this far. UPDATED: Haifa District Court Judge Oded Gershon on August 28 handed down his verdict: the State of Israel and the Defense Ministry were not responsible for Rachel Corrie’s death. For a different perspective of this case please read the following article at the Nation. A mall in Jerusalem was crowded with shoppers over the weekend. However, the patrons were not there to shop for the latest brand of clothes. They were there to purchase gas masks and other survival gear as they embrace for a possible chemical strike by Iran. Prime Minister Benyamin Netanyahu has publicly announced that a military strike against Iran’s nuclear facilities is imminent. There are talks that Netanyahu and Defense Minister Ehud Barak are contemplating a strike within the next six months and possibly before the U.S. presidential election in November. In light of the announcements, media sources have critically slammed the Prime Minister for being overly hawkish. Opinion pieces and Media analysts from Israel, U.S., and Europe have openly expressed their dismay at Netanyahu’s apparent eagerness to resort to military force. His critics have harshly condemned him as a war monger. 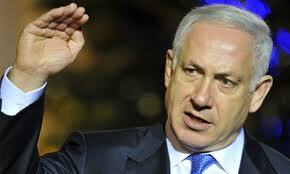 However, Netanyahu has openly praised two journalists who came to his defense. The journalists were Professor Eyal Winter of Israel and Colbert King of the U.S. who writes for Washington Post. Both writers received a personal phone call from the Prime Minister who thanked them for their support in Israel’s right to defend itself against a nation that has fervently vowed to wipe Israel off the map. Netanyahu has also invited Winter to his office and has plans of making the same arrangement for King in September. Both the U.S. and Europe have urged the Prime Minister to exercise a little more patience to give negotiations and diplomacy a chance. Netanyahu, however, balks at the idea of further talks and says that doing so will only give Iran more time to build up its nukes. Netanyahu has also announced Avraham Dichter as the new civil Defense Minister. Dichter could play a pivotal role in deciding whether Israel proceeds with its plans of a military strike. The U.S. presidential election is looming, and it is an issue that Israel is keeping a close eye on. Presidential candidate Mitt Romney visited the city of Jerusalem and said that the U.S. has an obligation to back Israel in every way possible against the threat of Iran acquiring nukes. Romney’s stance may make him more of a desirable candidate for Jews living in the U.S. While President Obama has stated that Israel has the right to defend itself, he has hesitated to include whether military option would be considered. Instead, his policy was focused more on diplomacy and sanctions in stopping Iran. Romney’s foreign policy advisor, Dan Senor has made statements suggesting that a Romney administration would aid Israel in a military strike if all else fails. Romney also took jabs at the democrats for being too soft in its stance against Iran. During his visit, Romney also referred to Jerusalem as the capital of Israel, which drew the applause of those present for his speech. Obama has been criticized in the past for his refusal to acknowledge Jerusalem as Israel’s capital. Some suspect that this is out of fear of offending the Palestinians. Romney’s visit included a conference with Prime Minister Benyamin Netanyahu and President Shimon Peres. 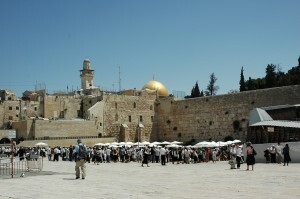 His stop also included a pilgrimage to the Western Wall where he inserted a note inside a crack. Romney and the Prime Minister have actually worked together as partners at a consulting firm in Boston back in the ‘70s. It is unknown whether this will play a pivotal role in who Netanyahu supports during the U.S. election. However, Israel’s deputy foreign minister, Danny Ayalon, insists that there is no favoritism involved here. He also added that Israel does not have any leanings one away or the other over who takes over the White House in the November election. 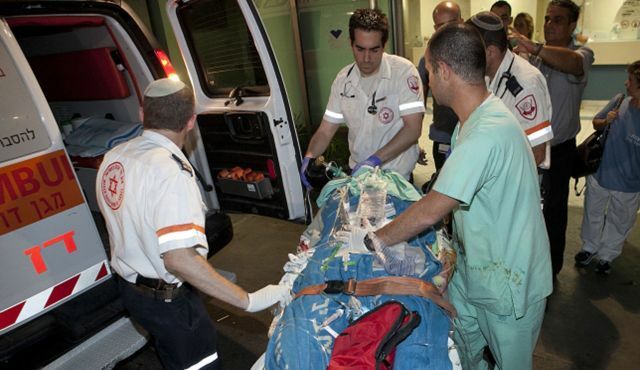 A protestor is fighting for his life right after setting himself on fire during a rally for social justice in the streets of Tel Aviv. Before lighting the match, he read aloud from a note saying that the state of Israel has stolen from the poor and given to the rich. According to fellow protestors, the man was an activist from Haifa. He operated a company that went out of business, which forced him to get a job as a taxi driver. His luck made a turn for the worse when he suffered a stroke and became unemployed. He later moved to Tel Aviv but became drowned in debt due to the high cost of living in the city. The remnants of the man’s note say that the government’s misdeeds left him unable to pay for his rent or medication. He also talks about the millions of dollars he has paid in tax as well as his many years of service in the military. An estimated 8,000 marchers were at the demonstration. A separate protest also took place in Jerusalem and Haifa. The rally was a call against the rising cost of living. Protestors took to the streets shouting for the prime minister to resign. A similar protest took place last year. In response, the government started a committee to address the demands for reform. However, since then, very little progress has been made. The situation remains dire for thousands of Israelis who continue to face rising costs. Protest organizers hoped for tens of thousands of marchers to take the streets, though the number of turn outs were pretty dismal in comparison to last year’s march, in which roughly half a million demonstrators took to the streets. The man who set himself on fire definitely got his message through, though only time will tell whether it will change anything. Prime Minister Binyamin Netanyahu and the Likud party that backs him announced that they will show support for a controversial law that will make it mandatory for all ultra-Orthodox Jews as well as Palestinian-Israelis to perform either military or community service. The law was proposed by the Plesner committee and would require everyone to complete military or community service. The plan also looks to increase benefits for those who comply with the law and impose stiffer penalties for those who try to dodge the draft. 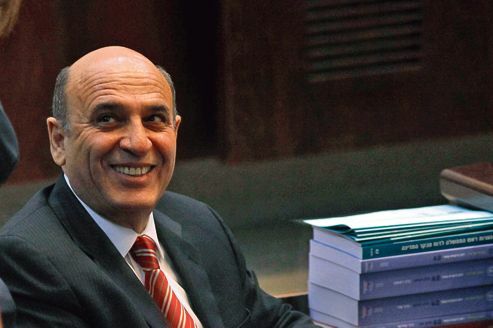 Vice Prime Minister Shaul Mofaz opposed the idea of a mandatory draft and even threatened to quit if such a proposal were to be passed. However, he and Netanyahu have since agreed on proceedings to get the law drafted. Supporters of the law have taken to the streets of Tel Aviv to rally in favor of mandatory service for all Israelis. Currently, there are certain minority groups who are exempt from compulsory service. The protest required a police presence, though no violence or arrests were reported. Under the present law, most men over the age of 18 are required to serve a minimum of three years in uniform, while women are required to enlist for two years. However, they have the option of opting for community work in place of military service. With the new law, hefty financial fines will be enforced for those who try to evade the draft. It also has plans to cut down the number of religious seminary students who are exempt from 50,000 to about 1,500 within the next four years. The plan also aims to increase the number of Arab citizens living in Israel to serve. Arabs make up about a fifth of Israel’s total population; the majority of them are strongly against the proposal. The Tal law was passed in 2002 and allowed ultra-Orthodox Jews and Palestinian-Israelis to be exempt from service. This law was declared unconstitutional in February and will become void beginning in August. A beauty pageant was held in Israel. Unlike a typical pageant, the contestants were not women in their early 20s with model-like figures. The 14 participating contestants were actually Holocaust survivors. All the women were between the ages of 74 to 97. The contest was held in the city of Hafa, and each contestant walked in front of a red carpet and described the grisly details of their personal experience during their detention in the concentration camps. 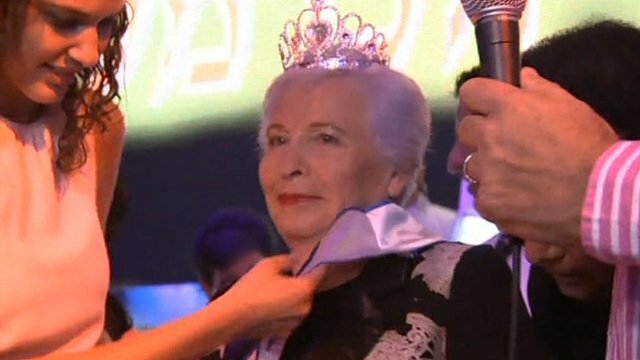 After listening to personal accounts, a four panel judge awarded the crown to 79-year-old Hava Hershkovitz, who was forced to flee her home in Romania with her family. While the pageant was clearly held to honor the victims – both the ones who perished as well as those who lived to tell their tales – not everyone sees it that way. Critics are slamming the event as being in poor taste as well as being outright offensive. The pageant was organized by Shimon Sabag, who said the finalists were selected based on their personal experiences as well as contributions to their communities. While physical appearance did play a role in the selection, Sabag insists the role was minimal. After being crowned the winner, Hershkovitz says that for her, this was her way of showing that she is still alive and well. However, Collette Avital, the chairwoman of Israel’s Holocaust Survivors, says that it was not appropriate to judge these women based on their appearances, especially considering the harrowing experiences they endeared. Roughly six million Jews were slaughtered in the Nazi concentration camps during World War II. About 200,000 Holocaust survivors are still living today, with most of them residing in Israel. Though there are mixed feelings about the pageant, it should not take anything away from the participants, who experienced a living nightmare that no one can even come close to relating to unless they’ve experienced it first hand for themselves. Israel and the United Nations have been engaged in talks with Iran to dismantle its nuclear program. Despite threats of sanctions, Iran shows no intention of abandoning its nuclear ambitions. Israel is now hinting at the possibility of military action. The latest talks were held in Moscow. Once again, Iran has refused any compromise that would call for an end to its nuclear enrichment activities. Vice Prime Minister Shaul Mofaz said that Iran is not budging because current financial and oil embargo sanctions just are not stiff enough. Mofaz also said that they are now at the point where more drastic options need to be considered. It is hard to interpret this statement as anything other than military force. Iran has continuously insisted that its nuclear program is solely for energy production and nothing more. 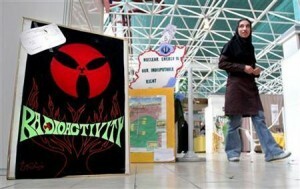 The U.S., however, has long suspected that Iran is working towards the capacity to produce a nuclear weapon. Mofaz has said in an interview that if military force were to be employed, that it would have to be led by the U.S. The West has been leading the talks out of concern that Israel may resort to force if Iran cannot be convinced to relinquish its nuclear program. While there is one more meeting scheduled in early July, there is no more talks that have been agreed to after that. This adds pressure for a peaceful diplomacy to be reached, or else risk the likelihood of war. Other than talks over Iran, Mofaz has also visited the U.S. capital to help arrange a conference with Palestinian President Mahmoud Abbas. The hope is to continue with peace negotiations over how to handle Jewish settlement in Palestinian occupied land. Mofaz currently runs the coalition that supports Benyamin Netanyahu. He and the Prime Minister have formed an alliance in order to prevent their political foes from seeking an early election. 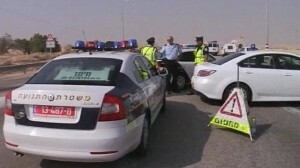 An assault near the Egypt border left three militants and an Israeli civilian dead. According to Israeli officials, gunmen open fired on a crew of construction workers as they were constructing a border fence in the Sinai desert region. The attack sent three of the workers to the emergency room, where one later succumbed to his wounds. It is believed that at least three assailants were involved in the attack. Small arms gunfire was evident by the shell casings that riddled the floor; an improvised explosive device was detonated as well. Soldiers were immediately dispatched to the area where they killed one of the gunmen. The second suspect was killed when an IED he was carrying detonated in his arms. The lifeless body of the third was later discovered at the scene. The civilian who died was identified as an Arab citizen of Israel. Additional suspects are believed to have retreated back into Egypt. The U.S. has released an official statement condemning the attacks and emphasized the importance for Israel to maintain a strong border security. Officials also cited the lack of political stability in Egypt as the cause for the violence, which magnified after the ouster of Hosni Mubarak. In a separate incident, the Israeli Air Force launched an air strike in the northern section of the Gaza Strip that killed two Palestinian motorcyclists. Militants have confirmed the two dead as belonging to Islamic Jihad. A second strike was carried out moments later that killed another two men and injured an additional three in Beit Hanoun. The air assault was confirmed by authorities who said the targets were a group of militants firing rocket propelled grenades across the border. The government believes that the recent attacks show that militants are becoming more desperate and daring. The attacks also demonstrate a new degree of sophistication and complexity. Demonstrators marched in unison to protest the arrests and deportation of African migrants. 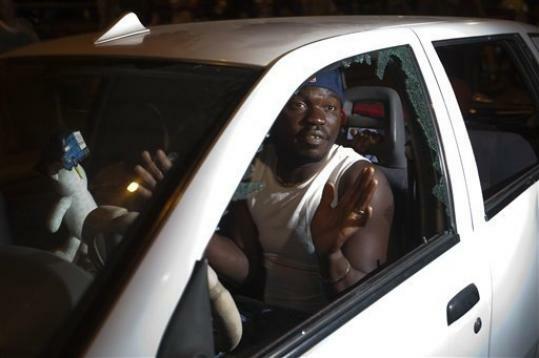 The streets of Tel Aviv were occupied by protestors who claim that asylum seekers are being unfairly treated because of the color of their skin. The demonstration was conceived and carried out by the Bnei Darfur Organization. Marchers made their way to the United Nations Refugees office and handed a written letter to the government. The letter contained a demand for migrant workers to be reclassified as refugees. The goal of the demonstration was for the UN to step in because of sentiments that Israeli authorities are not doing so. The march is also a call for migrants to be given access to education and health care. They are also asking for all denied asylum claims to be reexamined. The marchers are made up largely of men, women and children from North Sudan and Darfur. One demonstrator was identified as Andrew Akolawin, who is planning to return to his native country of South Sudan with his children after staying in Israel for five years. According to Akolawin, the issue is not about being deported back to his country as much as the manner in which the deportation process is being handled. He says that many are being forced out despite being owed unpaid wages and other dues. Like Akolawin, many will be leaving Israel with bitter feelings toward the country. According to official records, over 59,000 African immigrants have illegally entered Israel through the border that the country shares with Egypt. Construction is currently underway to build a fence to encompass the perimeter of the border. Gunshots were exchanged on the Israel-Gaza border. When the smoke cleared, a Pakistani militant and a solider from the Israel Defense Force laid dead. The gun fight took place when a militant made his way past the border fence and into Israel in the southern section of Gaza. The incident occurred in the early hours of the morning when IDF troops patrolling the border spotted an armed man breaching the fence. Security forces from the Golani Brigade were sent to the area, and when the suspect was confronted, shots were fired. The slain soldier was identified as Staff Sergeant Netanel Moshiashvili. He was just 21 years old and was from the town of Ashkelon. He was laid to rest at a military burial site in his hometown. The dead suspect is believed to be Ahmed Abu-Nasser. The Islamic Jihad originally claimed responsibility but later denied any involvement, stating that Abu-Nasser acted as a lone wolf. Not long after the incident, news surfaced that an air strike was carried out by the Israel Air Force. The air raid targeted a vehicle that is believed to be linked to the border attack. Three people were injured by shrapnel. Israel Officials confirmed the strike and said it was in retaliation for rockets that were launched at IDF soldiers. 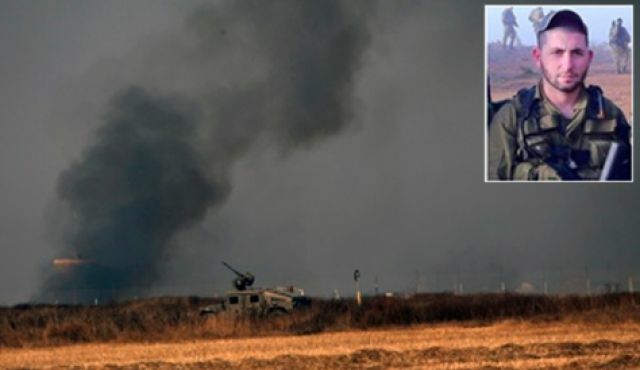 A similar border attack occurred just a week earlier on the Gaza border where two Golani Brigade troops received non-life threatening injuries. Violence along the border has been on the rise in the last few months. Small arms and RPG fire has been reported as well as the detection of improvised explosive devices. Due to the elevated level of hostile activity, the security alert level has been raised in Southern Israel. More rocket fire is anticipated and IDF soldiers are keeping their eyes open for the slightest sign of suspicious activity. A surge in African immigrants has sparked a flurry of backlash from Israelis who feel that the new migrants are not welcome and pose a threat to Jerusalem’s identity. Some Israelis are now taking the law into their own hands and resorting to intimidation and violent attacks. By law and an international refugee treaty, Israel is required to provide a place of safety for migrants who come to escape oppression and war from their home country. An estimated 60,000 African migrants, primarily from Sudan and Eritrea, have managed to sneak past Israel’s border that it shares with Egypt. The absence of a fence and border patrol agents has made it easy for refugees to slip through unnoticed. While Israel is steadily building a fence to seal the 125 mile border, migrants continue to flood the country at a rate of approximately 1,000 every month. Most migrants come with nothing but the clothes on their back. Most report being abused and badly mistreated by the Bedouins who smuggle them. While African migrants still make up less than one percent of Israel’s total population, some Israelis feel the refugees are harming the country’s identity as a Jewish state. Even top Israeli officials have used derogatory terms to describe the migrants, using names such as “cancer” and “infiltrators”. 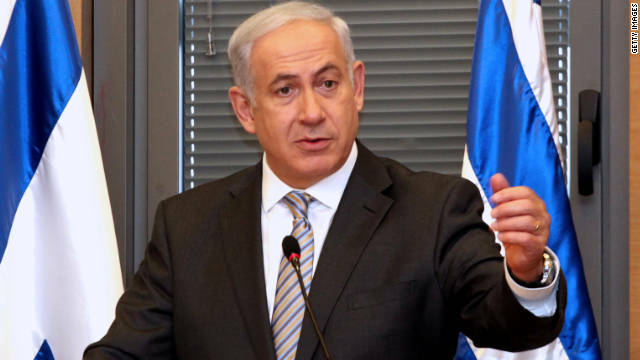 Even Prime Minister Benyamin Netanyahu has taken a firm stance against the refugees and said that their increasing numbers can lead to the demise of the Jewish state. 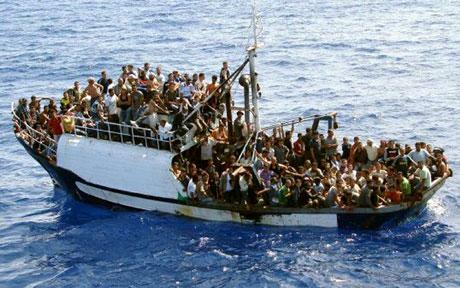 Due to a 1951 U.N. treaty, Israel cannot deport refugees back to their country where their lives may be in jeopardy. Other options are being considered, such as looking for a third country that is willing to give them asylum. Israel has been slammed by the U.S. State Department for granting asylum to only one of the 4,603 people who applied in 2011. Without legal status, migrants will not be able to work or receive health care. Israel rejoices as it celebrates Jerusalem Day, which marks Jerusalem’s reunification in 1967 after being occupied by Jordan for 19 years. During Israel’s war for independence, thousands of Jewish settlers, who had ancestral ties to the land, were forced to flee during the fighting. Heavy artillery shelling destroyed a total of 48 synagogues, leaving only one intact. The Jordanians desecrated old gravestones and even converted sacred burial sites into latrines. 2012 marks the 45th anniversary of the reunification. 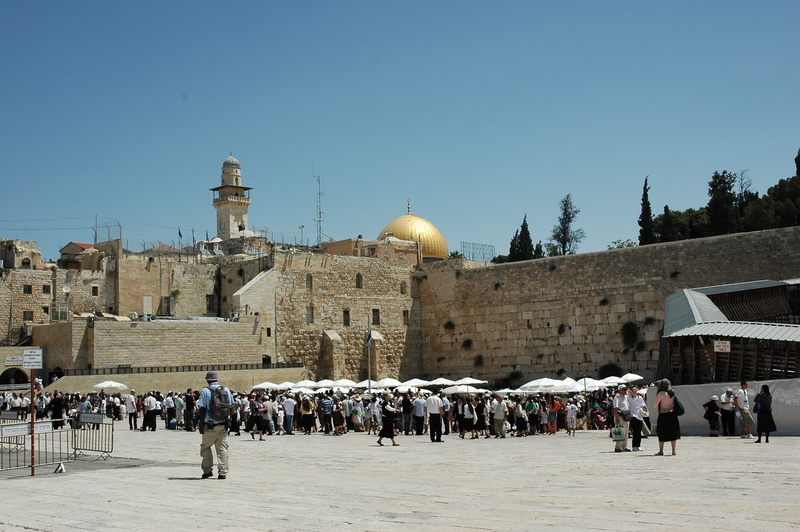 Most synagogues were filled to capacity as thousands gathered for morning services. The Hallel prayer was recited and a memorial held for Israel Defense soldiers who gave their lives in battle. A special session was held at Ammunition Hill, which historical textbooks cite as the focal point for the Six Day’s War. During the fierce back and forth battle, 36 paratroopers lost their lives. At this session, the government will also vote over how to transform Jerusalem into a spot that betters its economy and boost tourism. High school students and youth groups will also be partaking in Jerusalem Day Rikudglaim, where a parade of dancers and marchers will occupy the Old City and proudly wave the Israeli flag. Celebrations will also be held in the Zionist yeshiva, Merkaz Harav Kook, where Prime Minister Binyamin Netanyahu and senior rabbis will be present to observe the festivities. A team of dancers comprising of Merkaz Harav students will dance their way starting from the yeshiva and move over to the Western Wall. The event will be broadcasted and streamed live by various media outlets. In 1967, after being denied access by the Jordanians, Israelis marched by the thousands and stepped foot into Jerusalem for the first time in 19 years. This event marked a significant chapter in Israel’s history and is now celebrated with an unshakable pride and patriotism.